Our Lubu Town Pack Winterburg is a great, educational and creative construction toy set for boys and girls. It comes with 4 stackable houses with ladders, 2 wooden toy cars with wooden figures and 2 roofs. This unique toy with a subtle design in blue and grey allows children to create different buildings and enjoy a fun time with their own constructions, the wooden toy cars and the little people. Build your own city! Also available: Lubu Town Pack Summerville in red and turquoise. 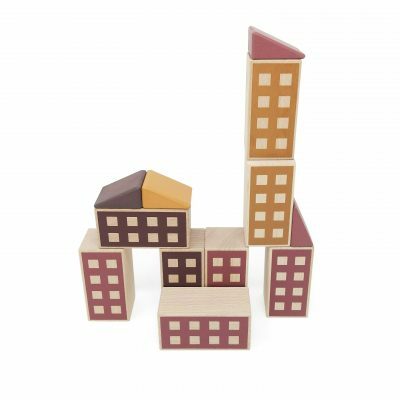 Our Lubu Town Pack Winterburg is a great, educational and creative wooden construction toy set for boys and girls. It comes with 4 stackable houses with ladders, 2 wooden toy cars with wooden figures and 2 roofs. 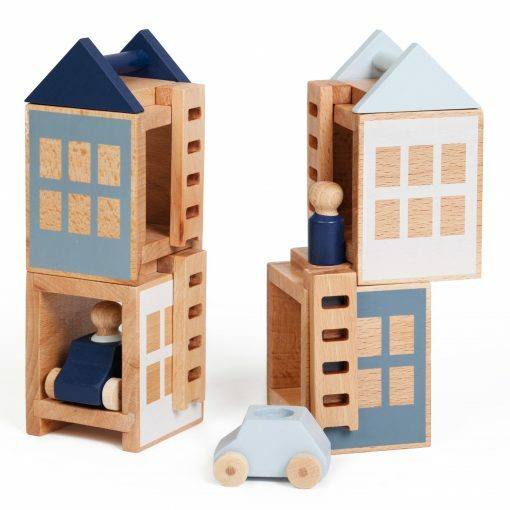 This unique toy with a subtle design in blue and grey allows children to create different buildings and enjoy a fun time with their own constructions, the wooden toy cars and the little people. Build your own city! Also available: Lubu Town Pack Summerville in red and turquoise.